You wake up in a hospital and you can’t feel your legs. You are confused on what is happening, and then it hits you. Flashbacks start flooding your head like a movie of an experience you cannot believe you just had. You were just in a car accident; all you remember is driving home after work then a loud noise and sudden impact that sent you into a world of darkness. Now you are laying in the hospital with doctors and nurses in a flurry around you, trying to treat your injuries. Few months have passed, but you have lost the ability to walk because of constantly being in bed and due to your injuries. Luckily, Pioneer Trace Healthcare & Rehabilitation offers the Rehabilitation Services in Flemingsburg, Kentucky to help get you back on your feet, literally. Range of Motion: You may not be able to move your legs the way you used to. Through our range of motion services, we can slowly help you regain the full use of your legs and make sure that you can move them around like anyone else. 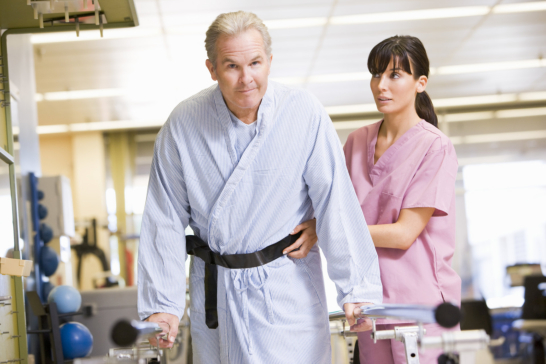 Strength: Another component of our physical therapy services is to help you regain your strength. This process can take a very long time depending on the injuries you have sustained; however, it is possible to regain your full strength once again. Through different therapy sessions such as yoga, physical activities, and exercise, we can help you slowly regain your life after the incident. Let us help you relearn the skills you need in order to go back to the life that you once had. There is always hope; and through our extensive and compassionate care, the sky is truly the limit. This entry was posted in Rehabilitation and tagged Living normally, Recovery, Rehabilitation, Speech Theraphy. Bookmark the permalink.